Aztec marked a cherished moment in its 123-year history on May 4, 2013, when it celebrated the 50th anniversary of receiving the prestigious All-America City Award from the National Civic League. 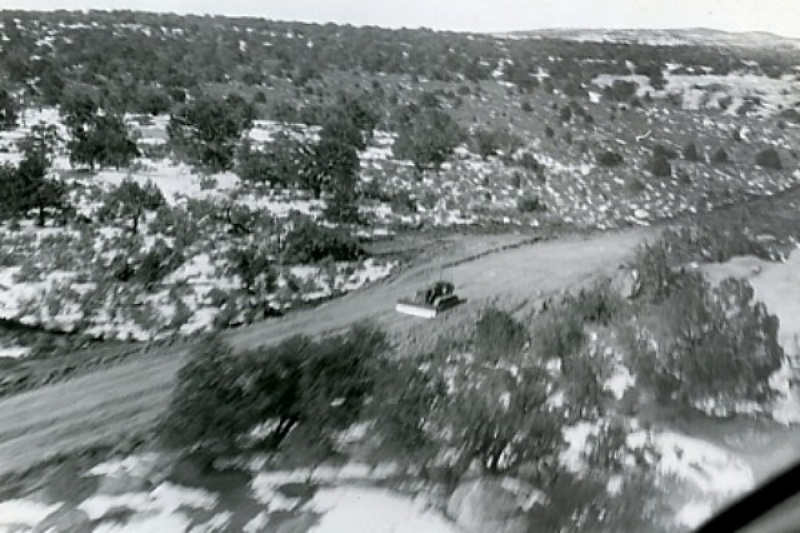 The AAC Award was given to Aztec in 1963 in honor of the community's selfless, true-grit determination to build a two-lane highway from the town's outskirts to newly constructed Navajo Dam, a $42 million federal project that was a major early component of the Upper Colorado River Storage Project. 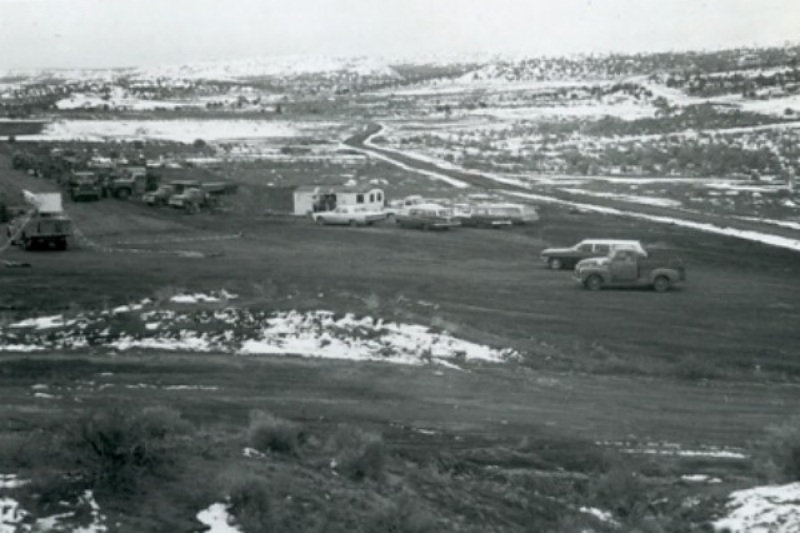 New Mexico Governor Jack Campbell and many other dignitaries attended the festive groundbreaking on Jan. 6, 1963. The road - later valued at $250,000 - was completed on April 21. Building a 19-mile highway in little more than three months was an astonishing feat all to itself. Considering it was designed, funded and constructed almost exclusively by Aztec residents, businesses and neighbors - without government support - the deed takes on legendary status. 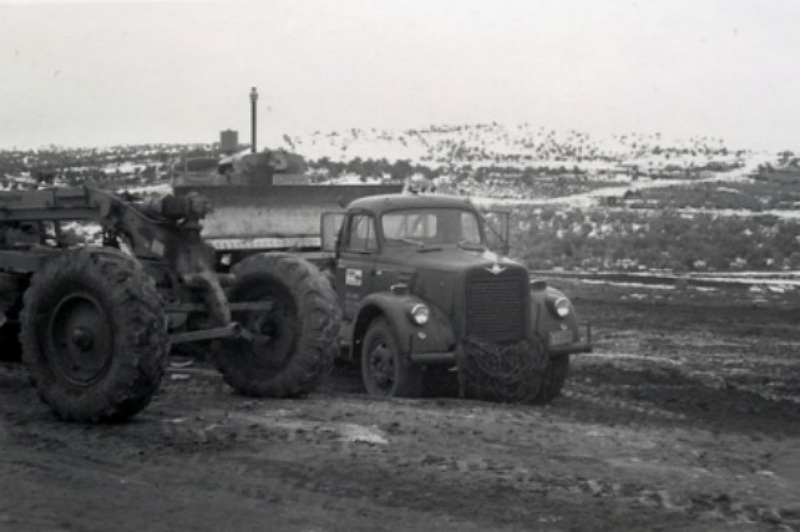 In fact, Navajo Dam Road/State Road 173 was built with donated equipment, material, supplies, cash and labor. School boys and girls raised road fund money by staging plays. Civic groups and local businesses organized fund raisers not unlike the war bond rallies of the 1940s. 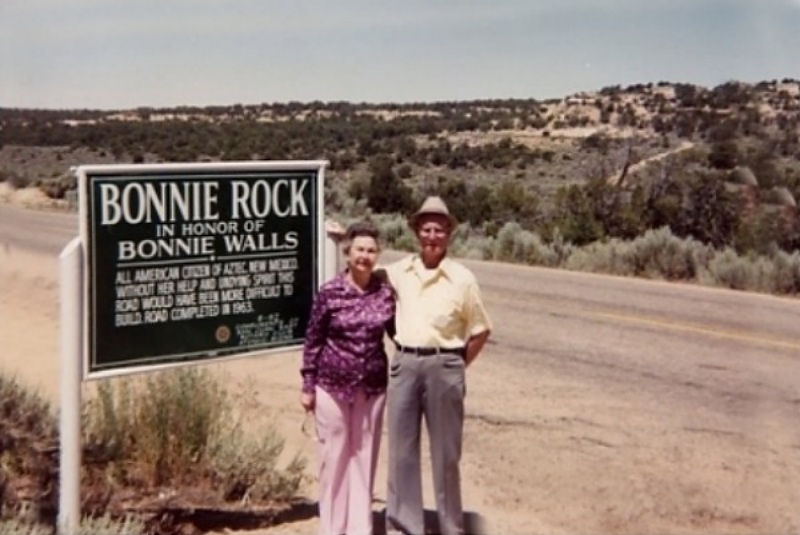 And a dedicated committee headed by Bonnie Walls served meals, snow or shine, to workers each and every day the work was in progress. Approximately 3,000 volunteers - nearly three-fourths of Aztec's population in 1963 - participated in this dramatic undertaking. When it was completed, President Lyndon Johnson sent a cable of congratulations, Look Magazine featured the project in its pages, the accomplishment was written up in the U.S. Congressional Record and, in lasting tribute, Aztec was designated one of only 11 communities in 1963 to receive the National Civic League's All-America City Award. Said the Farmington Times: "The project was a marvelous display of what can be accomplished through private initiative and resourcefulness, through voluntary cooperation of people at the grass-roots level." Said The Christian Science Monitor: "Practically everyone in Aztec as well as many neighboring communities such as Farmington, Bloomfield, Blanco, Cedar Point, and Durango, Colo., had a part in the project. Perhaps never in the annals of the Aztec community have so many people from every walk of life rallied to the cause. It was a display of the kind of all-out unity that can provide progress, pride, and stature to any community." As originally envisioned, Navajo Dam Road has served as an outdoor-recreation gateway to millions of travelers and vacationers needing quick and easy access to hundreds of natural sandstone arches; panoramic high-desert scenery; ancestral Puebloan ruins; the hiking, camping, fishing and water sports amenities of Navajo Lake State Park, which contains New Mexico's second-largest lake; and the Quality Waters of the lower San Juan River, a U.S. Top 10 Fly Fishing Destination. "I hope everyone appreciates the meaning behind those green 'All-America City 1963' signs on the city's outskirts," said City Manager Joshua Ray. "If not, we most definitely should. The National Civic League's award put an indelible red circle around one of the most important events in the history of Aztec. We should all be so proud of and thankful for the monumental efforts and sacrifices made 50 years ago by this great community." For information about the City of Aztec, go online to www.aztecnm.gov. 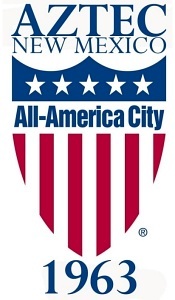 For information about the National Civic League All-America City Award, go to www.allamericacityaward.com. Photos courtesy of Aztec Museum & Pioneer Village. 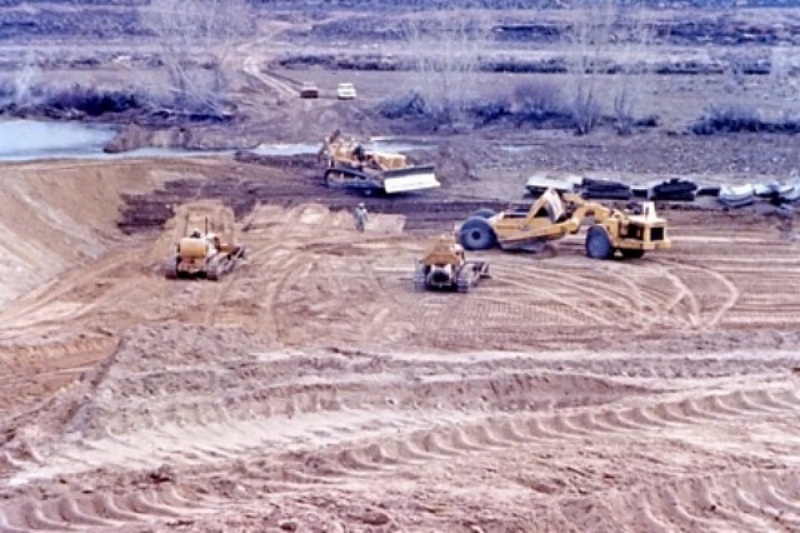 Construction of Navajo Dam Road Underway.